The location of the factory in a landmark fireboat house on the Fulton Ferry Pier, features one of most sweeping views in America, the Brooklyn Bridge and Manhattan skyline. 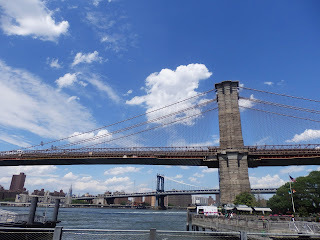 Before Brooklyn Bridge there was Fulton Ferry t he most important transportation hub in the city of Brooklyn. Daily steamboat travel to and from Manhattan in the early 19th-century helped make Brooklyn a major city. 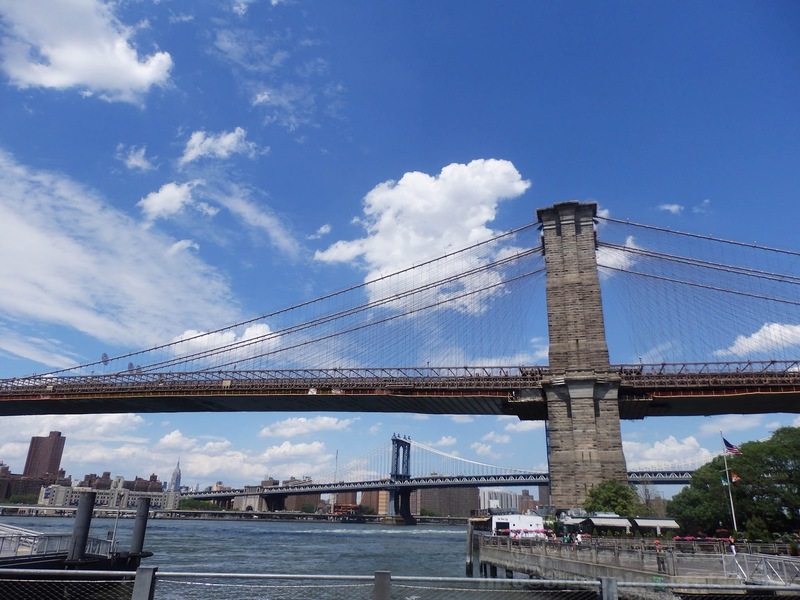 Brooklyn Bridge was built in 1870. The ferry stopped running in 1924, and two years later in 1926 the fire station was built on this place. 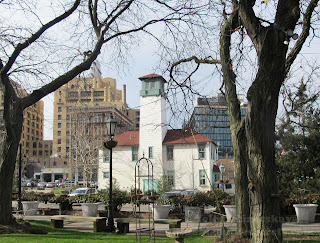 By 1931, Fireboat Engine 77 moved in. 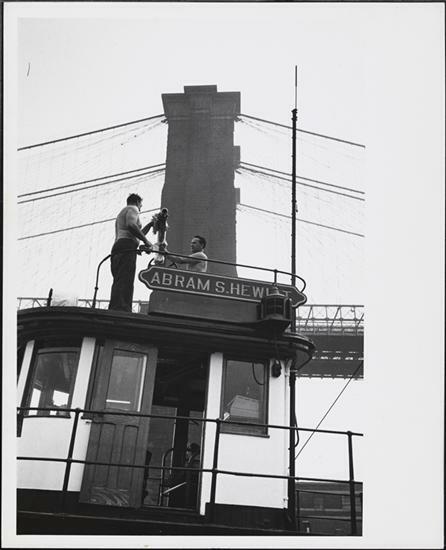 The fireboat "Abram S Hewitt" , named after Abram S. Hewitt, the 87th Mayor of New York, belonged to the fire engine 77. Fireboat was built by the New York Ship Building Company at Camden, NJ. he was the first fireboat called to the burning of the sidewheel passenger ship "General Slocum", where over a thousand people lost their lives. 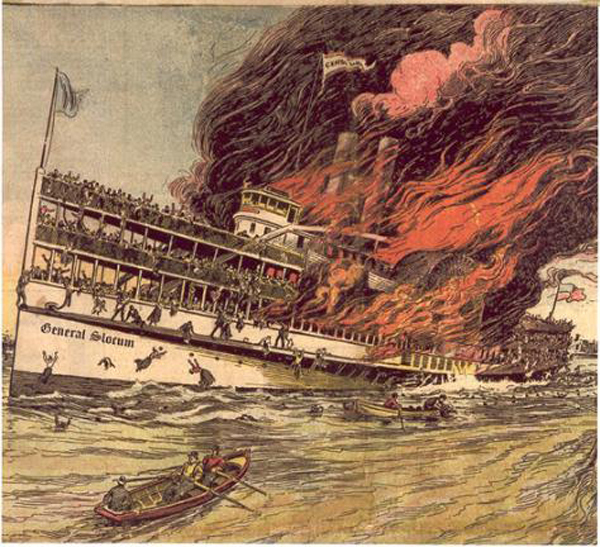 The passengers onboard on "General Slocum", came mostly from the German-American community of the Lower East Side. Most of the passengers were women and children. Only 321 passengers survived from a total of 1,358 passengers. The final death count totaled 1,021. The next largest death toll in the United States would come decades later with 2,974 dead from 9/11. Eventually the fireboat ended at the ship graveyard in Rossville, Staten Island. 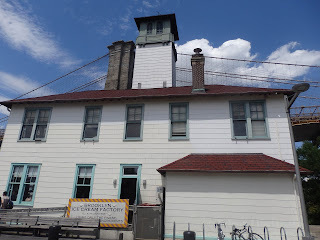 The tower of the firehouse was used to hang and dry fire hoses. 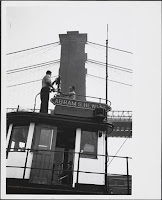 In 1959, the name of the station was changed to Marine 7, and they were in operation until the house was closed in 1970. The building was landmarked when the Fulton Ferry Historic District was designated in 1977, and was renovated by the city. 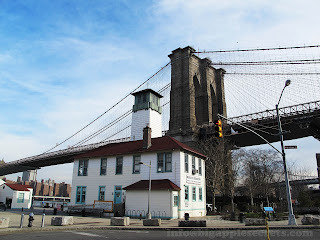 When Brooklyn Ice Cream Factory could not make enough ice cream to meet the demand at its original location, the Greenpoint, Brooklyn factory was opened in 2007.